Summer 2016 is in full swing at our house. A whole crew trading in days’ concentrated book studies to exercise application, to own an enduring hardy work ethic, and to radiate success defined by both process as well as success. So, as our hive’s buzz has gone outside our home, this Queen Bee begins this season in a quiet hum of wonder & in need of water. Do you ever find yourself simultaneously breath-after-breath thirsty & texture-after-texture awed by the pulses of life living all around? In & through, too? 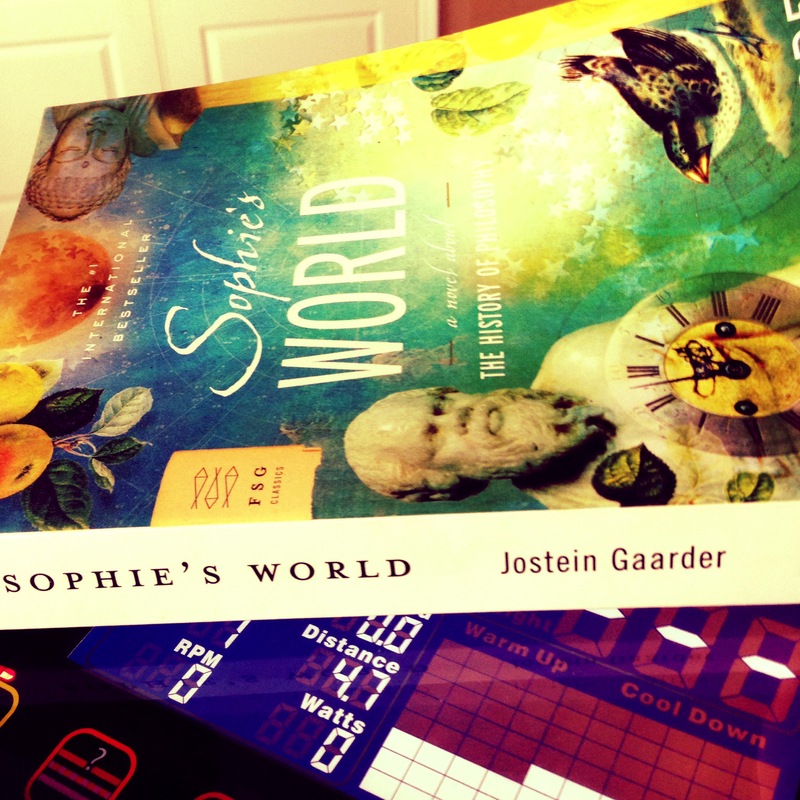 While I’ve given Sophie’s World a decent skimming when our eldest read it, it has finally resurfaced … ‘K, let me be a tad more disclosing… The storm of our yearly studies often floods denial of decent order. So, basically, I’m both unearthing stacks & daring myself to exercise as an excusable form of distraction. This a question I’ve wrestled with for years… Many a milestone stir the pondering again. I mean I remember my cousin (we were about four years old) and I hardly restricted from a particularly wonderful patch of our grandmother’s garden. What wonder stirs from such restrictions? We’d peek at the plant-lings through windows; we’d pace the perimeter to see leaves unfurl, yellow hearted blooms with itty white petels rise out of the green. We’d beg to hold the hose nozzle and make rainbows over this forbidden portion of the garden. Soon, we’d spot the fuzzy green nuggets hiding under leaves. Not yet. Not until the color comes. Obviously, our shoulders slouched as our disappointment surfaced. Yet, the wonders of picking day overshadows the yearning, the waiting, and yes… The distinct impatience pulsed in this process. With mini baskets in hand, we received our marching orders to pick -not eat- strawberries. After a good hardy effort & delivering the red ripe ones to Grandma, she’d give us an “at-ease” to eat some of our harvest. The explosive bite of tart and sweet… gritty from dirt bits tossed in, too. The tired … mixed with the briefest, most delightful reward. Very well written and so much like life, not wanting to wait for the fruit but trying to force what is not ready to be picked.